The major activity of the department of Philosophy is primarily related to teaching and research apart from organizing and participating in the academic programmes such as seminars, conferences, workshops, training programmes for the students as well as the teachers. The major thrust in teaching and research are on Classical and Modern Indian Philosophy, Western Philosophy, Philosophy of Culture, Applied Ethics and Philosophy of Sikhism.The faculty members of the Department are actively involved in guiding research work at the Ph.D level, as well as doing research themselves. 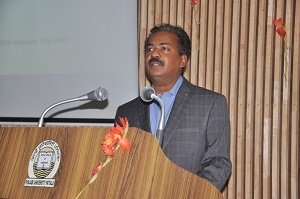 The teachers have participated in and presented papers in national and international conferences and Seminars.To strengthen the existing curriculum the Department has started new Courses on Applied Ethics, Bio-Ethics and Environmental Philosophy .One of the unique aspect of this Department is its focus on Applied Philosophy of Sikhism. 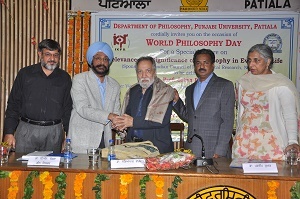 The Faculty of this department has been regularly representing the university in the World Philosophy Congresses, as well as giving support and academic inputs to other universities and also the Punjab Public Service Commission. The department has to its credit publication of more than 40 books on various philosphical issues in Punjabi. A Faculty member has been appointed member of Institutional Ethics committee as Subject expert. One of unique aspects of the Department is the focus on Applied Ethics and Applied Philosophy of Sikhism. Research is carried out in vernacular language i.e. Punjabi also. Students of this department have been highly placed in administrative services as well as in various universities and colleges. Lectures/ Extension Lectures on current Philosiphical ans socal issues arranged by the department from time to time to aware and enhance the knowedge of students.